Book Review - Lucky by Annie K.
Against all odds, a filly attacked by a mountain lion at birth not only survives, but thrives. Her name is Lucky, and as she grows she earns friends, respect, knowledge, and possibly even a love interest. But, all that is threatened to be ripped apart by an impending battle between two horse herds. Is there a way to stop this unnecessary violence and win over both herds, or will all attempts be in vain? Will Lucky herself be pulled into the thick of it all? This story is very unique because it is told from a horses point of view, and deals with human-like conflicts throughout the story! Unlike many author's showing communication between animals, this author decided to use quotes to show that a horse is talking. Although this does make it easier for us to relate to the horses as humans, it does almost make you think that the horses are talking in English aloud to one another, which I'm pretty sure is not the case. However, this unique choice helps us understand what is thought and what is speech, something that helped me read the story easily! The story starts off with a very vivid description of the setting, something I always like. The author also places us directly into a scene with almost no background information. Throughout the story, the author uses vivid descriptions for just about everything, making it very easy to visualize the setting and characters. Plus, the word choice is very descriptive, making the writing even better! In some sections of the story though, the author adds in too many details, such as how Lucky doesn't know what a crescent moon is. Some of these details include horse facts which are, although interesting, unnecessary at certain points in the story, but could be added elsewhere. The main conflict so far is intriguing, and the writing flows nicely. The word choice is advanced, yet the plot is simple and easy to follow. I look forward to seeing where this story will go and hope that we will find out what happens to Lucky soon! Writing 101 is all about writing... and how to succeed at it! Publishing can be the best part of writing. After developing a story, having fun with creating a setting, characters, and editing, you have an almost-finished story lying in front of you. But you still have to get the story to go somewhere, for people to read it and appreciate your work (which is what we've wanted all along, right?). So this is where publishing comes in handy. And I don't necessarily mean sending in your work to an editor. Publishing can also mean putting your story on a website, sending it in to a magazine for them to publish, or doing just about anything else you can think of that allows your work to be put somewhere that other people can read it on. _I've recently become aware there are SO many different e-book communities in which you can post your story on. _Some of the few I know of are booksie.com, quizilla.teennick.com, and wattpad.com. I use Wattpad because I find it the easiest to use, although I've heard good things about the other two. _Wattpad allows me to post my story, chapter by chapter, onto the website. I create a profile page that holds all of my stories, as well as a bio, my "library" where I can make different lists containing stories on Wattpad (I have I'M Reading... and YOU Should Read... for my lists) for people to see. There are also a message board where people can send me messages. However, the best feature by far is the fan system. When you join Wattpad, people can fan you if they really like your work (which can include poems, novels, etc.). And, you can fan other people. So far, over 90 people have fanned me, meaning that they get notified when I add a new chapter and when I send a message from my profile and click "broadcast to fans". As well as being able to "fan" people, you can also vote and comment on chapters of people's stories. Voting means that you like a chapter, and you can comment to tell the author what you think of their story or the individual chapter. The number of votes and comments you get on your story determines whether your story goes onto different lists, such as the What's Hot list. E-book communities are a great way to get your stories out there and get lots of feedback. However, most people's dream is to publish their book. And in order to do this, you have to send your book to a publishing company. In order to send your manuscript to a publishing company, you'll need an agent. And agent is normally hired and gets an agreed upon amount of your profits from the book. The agent will then act on your behalf and send in the manuscript. However, you may not get a reply for months. Most manuscripts get put into a big pile of stories called the slush pile, and they get skimmed over by editors once they get to it. This is why it is crucial to make a catchy beginning to your story. If the beginning isn't good, the editor will dismiss it and send a rejection letter without reading the whole thing. It doesn't matter if your plot gets really good in the middle of the book... if the beginning is basically all about the main characters clothes and uses absolutely no advanced vocabulary or interesting descriptions, then the editor will set it aside. So you need to make your story pop. As I read on a website, the writer said that you have to make your manuscript colorful. I recommend seeing this page for tips on how to get an editor to like your manuscript. This website came up when I searched about publishing and while the rest of the website is irrelevant to publishing, that page gave me a few tips. Finally, you can submit your work to a magazine. There are so many contests that literary magazines hold that allow you to submit short poems, stories, and other written works. Although I'm not going to focus on that because there are SO many different magazines and contests out there, I will say that this is a great way to get an opinion of your work and publish your work for the first time without having to commit to all the hassle of publishing a book. I suggest you try this before submitting to an publishing company! Do you have a published story? Who published it (what magazine or company)? How do you publicize your story? Tell us all this in your comment below! Okay, I'll admit it. This is a blog I'm writing at 10:24 pm on the night of what was supposed to be my deadline. Yeah, I know, great time management job. Okay. Stop laughing at me. It was a mistake. I've got a lot on my mind. I'm lucky I remember to breathe. Anyways, I'm doing a song...I'm doing a song from...I don't know. Hmm...probably shoulda thought this one out more. I was going to do Song of Love, but then it was way too repetitive. What to do? What to do? Erg! Now I'm thinking in musical. Okay...lets see. You know what? I'm gonna mix it up a little bit. I'm not doing a song. This time, I'm going to offer helpful tips. Yes. I'm deviating from the theme. Call the cops. Whatever. This is my blog, and I'll help if I want to! So, I'm going to throw tips at you for when you don't have time to write. Most of you probably do this already, but, one of the easiest things to do is carry around a notebook. Its great for a bazillion reasons. One, you can carry it almost anywhere and can write in it whenever you have some free time. Then there's the fact that you have it with you whenever or where ever inspiration strikes. This is good if you're like me and will forget things you're supposed to remember (such as a blog) late after you should've done it. Notebooks not your thing? Use a portable recorder or take a voice memo on your iPod for the same effect. You know how they say practice makes perfect? And you know how practice basically amounts to repeating the same things over and over until you get it right? Well, the same is true for writing. If you get an idea, just think it over a few times until you think its cemented in your brain. If you're a writer and pressed for time, any extra time you have is as precious as gold. Or water in the desert. If you have it, use it. There's nothing worse than a person who complains they don't have anytime to do whatever but when they do have the time, they waste it. If you're lucky enough to have half an hour. Sit and write. Don't even bother editing, just get it out. You know what they say, if you don't use it, you lose it. So, yeah, there you go. Tips. On. Time. Management. Perhaps I could use these. Then I wouldn't have to write blogs this time of night. Thanks for reading! What do you do to remember things? Tell us in your comment below! We are thrilled to welcome amazing reader and writer Sarah to our blog! Sarah has been a great friend of mine and edits one of my stories. For her blog post, Sarah will be talking about how she edits and what techniques she uses! Sarah's Bio: Hi! My name is Sarah. If you see me, I will probably be writing, reading, or riding a horse. Possibly onstage in a play. When I grow up, I really want to be an actress and an author simultaneously. I am in the process of writing a series right now, and I hope to get it published before Enders Game the movie comes out (2013). Hi! I'm Sarah. This is my first time blogging, so here goes nothing. I had asked to be a guest blogger, but I had no idea what to write about. Fortunately, my friend Ali (who is the editor of this site) said I could do something about how I edit her stories. So here's how everything works. First, Ali sends me the new chapter of her story (which she eventually posts on wattpad.com) and I make little changes to fix grammar and spelling. I have a little ritual type thing that I do when I edit. 1 - I receive her story via email and put it in a special folder on email marked "Ali's various stories". This makes everything easy to get to, and I suggest you do the same with anything important related to writing. 2 - I copy and paste the new chapter into the word document (I keep a separate one for each story). 3 - I reread the entire story so that I know what's going on in the new chapter. 4 - Usually grammar and spelling errors really pop out at me, so as I read through the chapter I fix them. 5 - Finally, I go back through the chapter and revise anything that either doesn't sound realistic or sounds weird. Basically this makes the chapter flow and make sense. 6 - The last thing I do is send the new version back to Ali! _Another thing I look for besides grammar and spelling is continuity. That's basically making sure the story makes sense as a whole and flows nicely. For example, if the main character has a book in her hand when she's talking to her mom but then doesn't three seconds later when she talks to her brother, I will either add something about how she put the book down or change it so that she has the book when she is with her brother. Sometimes it will be something really small, like, say, if the main character's cat's name changes from Sunlight to Sunshine in one paragraph. "The walls were a beautiful, indescribable shade of green." "The walls were a shade of green that was not quite lime, not quite forest, not quite grass, not quite spring..." etc. Last thing! Sometimes, let's face it, we writers let our imagination run away with us. But hey! Isn't that what writing's all about? Well, not always. If you're trying to write a realistic fiction novel, then you need to make sure that there isn't a fairy flitting in the window when the main characters kiss, or a dragon starting a forest fire on a camping trip. More often than not, it's more like continuity again. I have to make sure that the characters on this fateful camping trip don't set up their tent in five minutes or less. Even if that is what it says on the package, I know from experience that the least amount of time to set up a tent is at least ten minutes. Just things like that. Well, that's it! And although each story is different, most stories have the same type of mistakes. So, to become a great editor, look for these mistakes and anything else that needs to be changed. So, that's all there is to editing! What do you look for when you edit something? Do you have a question about editing? Tell us below in your comment! There is a new contest! To learn more about this contest and find out how you can enter go to "Contests"! Editing is often known as the most tedious part of writing, and, for the most part, this is absolutely true. However, when done right, editing can be the difference between a good and bad story. First of all, I just want to get across how important editing is. Being someone who often reads unpublished stories online, I will enjoy a story more if there are few mistakes. It doesn't matter how good the plot sounds, if I can't even read the story without noticing how bad the spelling or grammar is, I will not continue reading. And, while we all make mistakes, you can easily fix most mistakes by clicking "Spelling and Grammar" on Microsoft Word. Now, I'm not going to tell you how to edit (someone is guest blogging about that tomorrow), but you should at least know that editing requires a lot of courage. Even I hide when someone tells me I have to edit my own writing. So I suggest that you get a friend to edit your work for you. As well as making less work for you, you tend not to notice your own mistakes so this will ensure a well-edited piece. However, although you may have your friend editing your writing, it's always fun to edit someone elses writing. Using a red pen to point out mistakes is, for some inexplicable reason, entertaining. Plus, it makes you feel important. So I suggest that you try to edit other people's work. They will gladly accept. This also improves your spelling, grammar, and writing skills in general, making less work for whoever gets to edit your writing. So grab a bright red pen and get to work! Do you like editing? If so, do you strictly use red pens or do you use other colors too? Tell us in your comment below! _I'm back! I'm ready! And I'm pretty sure I'm awesome! Okay, we're warmed up, we're good. Thank you, I'm sorry, that was weird. I'm ready, I've got a song. This week I'm gonna do "Opening For a Princess" from "Once Upon a Mattress" in which I play Princess #12 and my brilliant editor, Ali, plays Lady Larken in. Anyway, enough about me, let us commence with the blogging. "Alas, a lass is what I lack. I lack a lass, alas a-lack,"
Sometimes you can tell when something's missing from your excellently written tale. Sometimes, that thing is a character. Some people try to change this by altering another character to fit the bill of the missing character, it doesn't really work out that well. If you need another character, make another character. It isn't like you're going to have pay to make another character. Writing is free, you aren't going to be charged for having awesome ideas. Come up with as many characters as you want, just don't bog down your reader with thirty-thousand different people to remember. That's confusing. "Tell us when you intend to end this dilemma we're in,"
This is going to sound a little 'crazy', but imagine your characters are real people. Now, imagine you're missing one crucial character. Your characters are going to be missing a big portion of their lives because you haven't created this character. They're going to get annoyed with you, because they know you have the power to add a character… but you aren’t. If you keep a piece of their lives from them, they're going to resent you. And who wants their creations to resent them? “We have an opening for a princess who's good enough, nice enough, sweet enough, smart enough, rich enough for our poor prince!" Just because you're missing a character, doesn't mean you can just throw anyone in the spot. They have to fit the bill. You wouldn't put Spongebob into an episode of Modern Family just because you needed a character for the episode, would you? Of course you wouldn't. That wouldn't make any sense. Spongebob has nothing to do with Modern Family. You want your new character to make sense in your story. You don't want a Spongebob where you clearly need a Gloria (MF reference for those of you who don't watch it). Your readers will be able to tell when you just make up a character to put a character in, they probably won't like them either, but ya never know, if they're a really good, established character, they may like him/her. So, anyway, that's all I have this week. Hope y'all enjoyed. See you next week! Have you ever felt something was missing from your writing, like a character? Tell us in you comment below! Hey y'all, I'm back and better than ever...I think. How has everybody been? Good, that's good. I was worried that you had gotten sick or something, but it seems as though you're all okay. Anyways, let's start the blog. This week I'm going to connect "Opportunity" from the Broadway musical "13" to writing. 13 is a personal favorite of mine. It's basically the story of Evan Goldman, a Jewish New York native, telling about the month leading up to his Bar Mitzvah. His parents get divorced and he moves with his mom to Appleton, Indiana, a town in the middle of nowhere. He wants to get the cool kids to come to his Bar Mitzvah and ends up getting blackmailed into getting the whole school into an R-rated movie and getting the geeky kid on crutches a date with the prettiest girl in school. In the end, the cool kids abandon Evan when he realizes he doesn't really like them anyway and he decides to be friends with the kid on crutches and his loser neighbor. You should YouTube the song, but beware, there are two versions. This is the version that would be preformed if you went to a school or community theatre production, or any other modern production. "If I prayed to God and cried a little, maybe he'd provide a little O-P-P, opportunity,"
Okay, ignoring the religious part, your writing opportunities are often things you have to keep wishing for. You might have to work a little bit to get them, but it's not always up to you. Sometimes you think about it, get a little worked up over it and then go to bed and hope for the best opportunity to present itself. It's kind of the same with any kind of opportunity, writing, acting, singing, etc. "We could be king and queen of this school,"
Your opportunity could be the best thing that ever happens to you. It could, if you're lucky, take you to the top of whatever you're doing. It could take you to the top of the website you post on, it could get you the most reviews, or even get you to the top of the bestseller list (and isn't that we all want, deep down inside?)! No one wants to be second best, no one wants to make it almost all the way and then have to stop and not make it there. "And there's nothing to say, unless I scheme and I plot 'til she's outta the way. If it didn't make me hate myself, I bet I could create myself an O-P-P opportunity,"
In the end, you're going to have to take matters into your own hands and do something. That something may just be going after what you want and saying yes to your opportunity. It might be saying the right thing to get your opportunity. It might even be getting in and getting dirty to create your own opportunity, surfing the internet, looking for publishers. 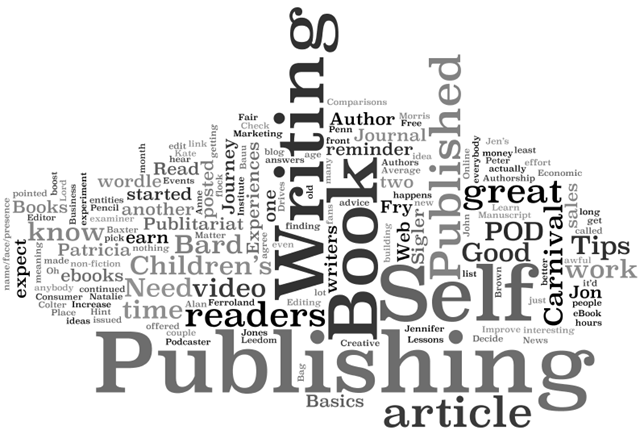 You could join a writers' club and that could help you find the right publisher or website. Whatever you do, however, don't be a Lucy (the nasty character who sings this song) and sabotage another writer to get an opportunity. It's nasty and will earn you a horrible reputation. So, there you go. Remember: go after your opportunities and chase your dreams, no matter what others tell you. No dream is stupid or unrealistic if it's what you truly want. Don't give up on it until you get what you want. What is one opportunity that you've had that has helped you to advance or do better at one of your hobbies? Tell us below!